If you are a parent whose child is being bullied, what do you need to do? How do you win your child back? How can your child regain confidence? In this article, you learn 10 proven things you can do to help your child. By now you'll agree that when you bully a child, it can cause negative experiences. The child can experience negative physical and mental health issues. 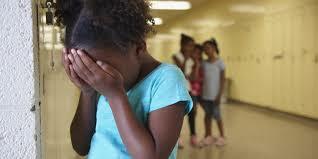 Kids who are bullied are more likely to experience depression and anxiety. They can also have increased feelings of sadness and loneliness. This can be verified in this revolutionary study. In the study, early intervention was identified and emphasised as one of the significant ways to avoid your child being bullied. Even though most schools have put up measures to quench the act of bullying amongst students, the role of the parent cannot go unnoticed as it can never be too early to checkmate the effect of child bullying. Activities like having daily discussions with your child to find out what happens in school can go a long way in early identification of child bullying. Listening to someone calmly while they tell their story is one of the most potent ways of diffusing emotions and sentiments. Take out time to listen carefully to your child, especially when they share their experience of being bullied. Also go further by asking your child what he would like you to do about the situation rather than just assuming you know and leaving out the child from participating in the process of taking care of the situation. Is your child being bullied? Often children could assume they were at fault when the bullying happens. When this occurs, your child is being bullied. Is your child being bullied? The child can quickly develop a complex because of the stigma sometimes attached to being bullied in school. These may cause the feeling that they brought it upon themselves. Reassure the child that it’s not his or her fault when bullied in school and also let him or her know that being a victim of the act does not mean he or she is weak but instead, they are strong. Inspire your child always to appear confident in school even when they don’t feel so. The child’s composure speaks enormous volumes. Many of the bullies in school start their act of bullying with nasty words with the intention of sparking off a reaction from the other child. Train your child to avoid such offensive statements; the bullies are more likely to stop when they are ignored. Rehearse bullying scenarios at home with your child and practice how to respond by ignoring. You can teach your child the importance and use of voice tones, body language and facial expressions to pass across messages. Is your child being bullied? If the answer is yes, then you need to refocus. Don’t allow the impact of bullying take over your child’s life in school. A lot of times your child can become a target easily when they are shy and timid, and quickly they can enter into high levels of depression and anxiety according to researchers. These conditions most times occur when the child separates him or herself from the crowd too often. According to Susan Swearer, a psychologist at the University of Nebraska-Lincoln and co-director of the global Bullying Research Network. She explained that being different amongst other students due to race, religion, gender identity, disability or sexual orientation, makes them perceived as distinct. If there is no proper care, the effect of bullying can be overwhelming on the child and have a dominating impact on them. Help your child to develop new abilities in new areas. Rob Parsons stated in his book on’ "what every parent has to know", that parents are helping their child build self-confidence and keeps the challenge in right perspective. Participating in school’s club activities like drama, music and other groups should be encouraged. When your child reports an incidence of bullying, don’t be forward and aggressive to walk up straight to demand an explanation from the school’s headteacher, the bully or the bully’s parents. Such reaction would cause most children to be afraid and can cause the bullying to get worse, according to childline’s counsellors. Also, encouraging your child to hit back or shout back should never be done as this only adds to the emotional and psychological stress the child may already be going through as a result of the bullying. Never play down on the incidence, when your child is being bullied in school, it’s an act of courage for the child to open up to you and tell you about it. Saying to your child to sort out the issue or making the child feel the experience is part of growing up can have a devastating impact. 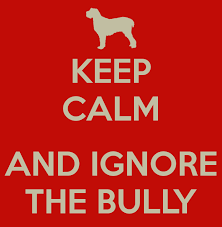 Bullying Prevention Education Consultant and author of 'Raising Bullywise Kids', Lyndall Horton-James also warned that telling the child to ignore bullying will give an impression that it is to be tolerated rather than checkmated. Is your child being bullied? As a parent, you often feel afraid, hurt, angry, guilty or even defenceless when your child is bullied according to Sue Atkins. Your childhood memories often influence your approach either positively or negatively, it could help to empathise and seek solutions, or it may hinder your ability to take the right stance. As a parent, you should be sincere and honest enough to admit your limitations and take proactive steps to find answers and solutions through internet, friends, and school library. Is your child being bullied? If you suspect so, then maybe as parents you need to improve your relationship with your child. Get close enough to your child to enable him to have freedom in opening up to you. Carry out daily tasks and chores together so you can seize such opportunities to discuss at length and freely about bullying. Also, allow your child to talk openly about such incidence to anyone. Make sure you’re not upset with your child if he decides to talk to other adults and friends about such experiences. It might be helpful to you and the child to open up to selected friends who might incidentally have had a similar experience in their schools. Getting the school involved in cases of bullying is very important because schools are required to have anti-bullying policies. A lot of schools also have different styles of peer group support system where individual children are trained to develop skills like listening actively and meditating to help when bullied. Many schools appoint officials like counsellors, group mentors, listeners, playground buddies, playtime pals and sometimes prefects who generally watch out for students that need support. According to Lyndall Horton-James, it is essential to have specific facts on record before parents approach the school, hence the reason for an education consultant. These should cover information such as what happened, who was involved, when it occurred, who witnessed it, anything your child did that may have provoked the incident, whether it was a one-off or series of events. It is also vital that you don’t arrive at the school unexpectedly: An appointment with the class teacher or head of school should be made. As a parent, you should aim to cooperate with the school and make it clear that you are seeking the school's help in finding a solution. Lyndall Horton-James also highlighted in her report that is very important to avoid blaming the school for bullying incidents. Most often when cases of bullying occur in school, teachers are usually the last to about what happens. It’s discovered firstly by friends, then parents and lastly schools. You have to be patient and allow the school time to deal with the problem but get constant updates about progress being made and arrange to meet up with the school from time to time to see how the situation is getting resolved. Is your child being bullied? Keep a detailed record of every bullying experience. It’s essential to write down every incident as soon as possible after it happens. Such details should include the date, what happened, who did it and who saw it. The effect of the bullying on your child should also be captured, whether your child told anyone and what they said or did and any following results. This every occurrence of harassment should also be reported to the school as it happens and the school’s response –what they say or do and the effect their actions should also be recorded. In cases where the child is physically hurt, photographs should be taken, and a doctor should be consulted as well depending on the level of severity of the situation. In summary, if your child is bullied in school, there are steps to take in ensuring your child is not affected. It is essential for parents to listen to your children when they complain about a specific incident that occurs in school. If your child is being bullied, by practising this ten things outlined in this article, you will assist them in becoming an energetic and motivated individual.